Disable Bing Search Engine Feature in Windows 8.1? 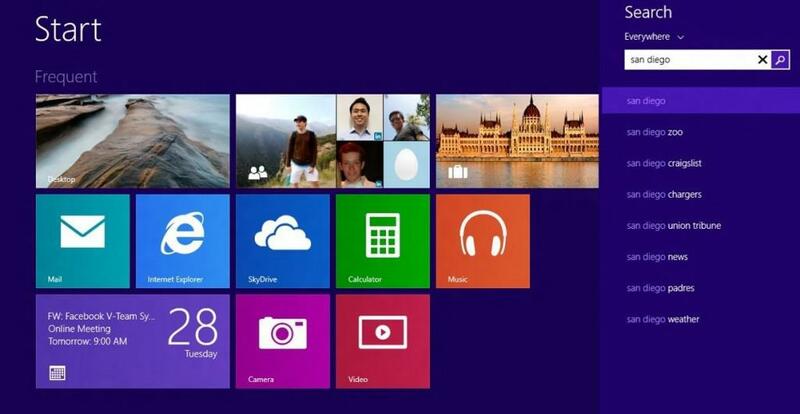 In Windows 8.1, when you search for something, Windows will use Bing’s search engine to initiate the online search. Every time you search for something on your local hard drive, Windows will enhance the results by searching for the keywords online. There will be many users out there who find this annoying and want to disable Bing’s search engine feature. To start off, launch the Charms bar (or press Windows + C combination on your keyboard). From there, head over to the Settings charm menu. 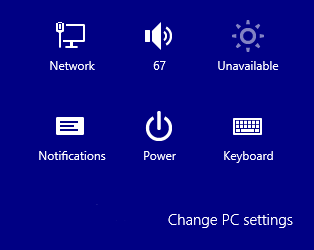 See the “Change PC Settings” option on the bottom right of the screen? Click on it. This will open up the settings. 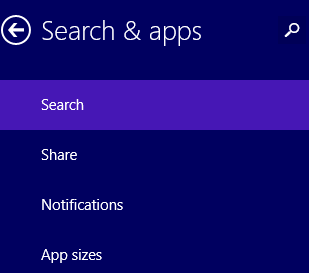 You need to open to “Search & Apps” menu, where you will see the option to disable search results via Bing. Make sure it’s showing as “Off”.